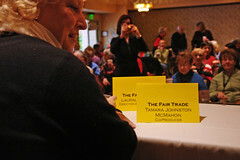 Again, special thanks for Tamara Johnston McMahon for the photos! 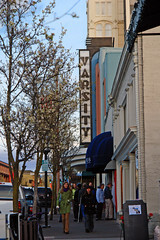 The Varsity Theater was where The Fair Trade screened. Our movie poster on display at the Varsity! 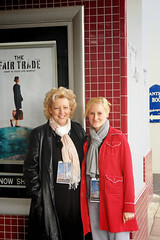 Lauralee and Tamara enjoyed the opening night festivities. 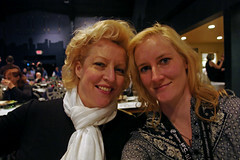 Lauralee and Tamara participated in a panel entitled “The Drama of Real Life – Documentary Storytelling” at the Ashland Independent Film Festival in April 2008. 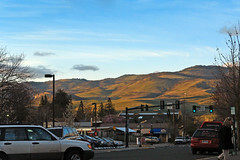 This entry was posted on Saturday, April 26th, 2008 at 01:15 and is filed under movie. You can follow any responses to this entry through the RSS 2.0 feed. Responses are currently closed, but you can trackback from your own site.